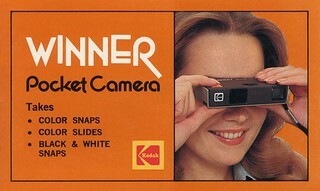 The Kodak Winner is a camera for 110 film. It is a basic fixed-focus pocket camera, and has a Flipflash socket. A version was available marked "Official Sponsor of the 1988 Olympic Games". 110 film is still available so a working example can still be used by those with a case of nostalgia. It is extremely similar to Kodak Gimini, My First Camera, Kodak Trimlite Instamatic 18, Kodak Mickey-Matic (first model), Kodak Kids Camera, and Kodak Galactic. 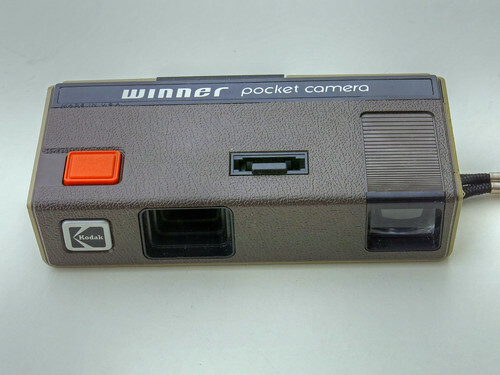 Other than using different flashcubes, it also greatly resembles a Kodak Hawkeye Pocket Instamatic.